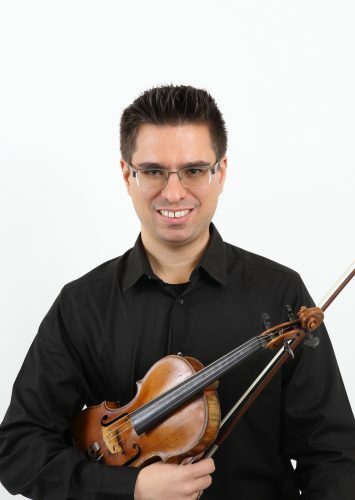 Mr. Ivanovic moved to Canada in 2007, after graduating with a Doctor of Musical Arts degree in Violin Performance at the University of Miami, where he held the post of Teaching Assistant, as well as served as an Assistant Concertmaster for the Miami Symphony Orchestra. Currently he is a member of the Vancouver Opera Orchestra, and concertmaster of Vancouver Intercultural Orchestra. More recently, he started performing in a duo with pianist Karen Lee-Morlang with whom he played recitals for Health Arts Society, Vancouver Chamber Players and Silk Purse Classical Series. Originally from Zagreb, Croatia, he began studying violin at the age of seven. During his studies he was the recipient of numerous prizes and awards in violin competitions at the national and international level. Of those, the most important honors were First Prize in the National Violin competition and First Prize in the National Chamber Music competition. Mr. Ivanovic appeared as a soloist with the Zagreb Philharmonic orchestra performing the Sibelius Violin Concerto, and with the Miami Symphony orchestra performing Beethoven’s Romanze in F major and Vivaldi’s Winter. Described as a player with “clear technique and great sensitivity” by El Nuevo Herald, he has performed in Croatia, Slovenia, Italy, Austria, France, Spain, Hungary, Canada, and the United States.